Welcome to Broadband Genie’s guide to all things Sky Sports. We’ll take you through what you can expect to get from a Sky Sports package and the different types of deals that are available, as well as looking at how to compare them. Sky Sports is the undisputed heavyweight champion of televised live sport in the UK. Since its launch in 1991 it has reshaped sport coverage, first with football and then with a plethora of other events including rugby, cricket, golf, boxing and Formula 1 racing. 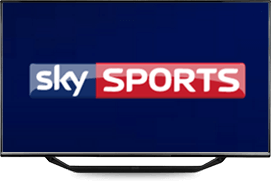 Find out more about Sky Sports, and how to get it, by reading on. Or to get started comparing and buying a TV package with Sky Sports, use the comparison table below. From a single channel 15 years ago it has grown into a ten-channel behemoth including both dedicated sport news and motor racing channels – not to mention a host of pay-per-view events and unrivalled coverage of leading US sports. If you’re a footy fan, there really is only one TV choice: with 126 live Premier League games planned for the 2016-17 season – alongside 127 more from the rest of the English football league – a Sky Sports package is a no-brainer. And that’s before you factor in Capital One Cup games, alongside action from La Liga, Scotland and the American MLS. What else is available with Sky Sports packages? Depending on the Sky Sports bundle you go for, there’s so much across the channels that you’ll never be bored. Every race from the Formula 1 season, the Ryder Cup golf, England’s test matches, rugby union, plus major tennis and golf tournaments from around the world – and all of the action is available live as it happens. In addition with Sky Sports Box Office, Sky offers the biggest boxing and WWE bouts through its pay per view service. 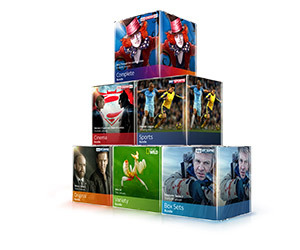 What special features and extras are available with Sky Sports deals? As well as covering more leading sports and sporting events than any other provider, Sky has also been at the forefront of all the major advances in sports broadcasting in the UK. It was first to bring us 3D Premier League football, while all of its seven channels are also available in full, glorious HD. Live clips on mobile: The Score Centre mobile app brings Premier League goals and highlights direct to your phone as they happen – and is a free download for all subscribers (available on both Android and apple devices). Multi-device support: Have split sports loyalties at home? No problem. You can watch the footy while others watch the racing, the rugby and the rest thanks to being able to register four devices to watch on at the same time. Sky Q ‘ultra HD’: With the new Sky Q box you can watch live sport – including all the Premier League games and F1 races – in ultra HD: offering a picture twice as sharp as normal full HD. Sky Go: With so much great sport to watch, it’s unlikely you’ll be home for all of it – but with Sky Go, no problem. With Sky Go (included as part of Sky Sports deals) you can watch both live and catch-up events via mobile, tablet and laptop when out and about. Where can I get Sky Sports packages? The days of complicated Sky Sports deals are thankfully behind us: the whole lot is available in one simple Sky Sports Bundle for all Sky broadband and/or television subscribers (although of course you’ll have to pay extra for any pay-per-view events). 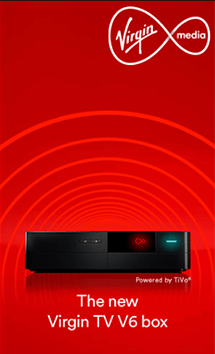 You can subscribe to the full seven-channel Sky Sports package with Virgin TV, which also includes BT Sport in the same subscription. It also includes the Sky Sports app, letting you watch your sports on the go. Other channels in the offer include both Man U and Liverpool’s TV channels, alongside Eurosport and Racing UK. If you have a BT TV subscription (including a YouView box) you can bolt on Sky Sports Main Event and Sky Sports Extra. But remember BT’s own sports channels include exclusive Premier League, FA Cup and Bundesliga matches too. If you sign up to NOW TV you’ll find several Sky Sports packages available on short-term, no subscription offers. All ten Sky Sports channels are available via day, week or month long passes. It may not be the cheapest way to get Sky Sports, but it is hassle and subscription free – meaning you can watch exactly when you want to. 1. Unrivalled Premier League coverage: While some may not like what the big money has done to the sport, the Premier League now has many of the best players in the world performing week in, week out – and with an average of four live games every game week. 2. The Ryder Cup: Nothing has done more for golf in the UK than the European team’s amazing results in the 2010, 2012 and 2014 Ryder Cups – and who can forget the drama of 91’s ‘war on the shore’ and 99’s battle of Brookline? Drama at its best. 4. Depth of coverage: Take tennis, for example. It’s always been great to watch Wimbledon, but now you can be a real tennis expert – there’s a seemingly endless stream of ATP and WTA tournaments that let you follow your favourite players all year round. 5. USA! And let’s not forget the full coverage of the America’s finest – with all the American football action from the NFL alongside the best basketball from the NBA. And with a Sky Sports deal you can record it all too, so you don’t have to watch live at stupid o-clock in the morning! How do I Compare Sky Sports deals? The best way to get cheap Sky Sports deals tends to be by signing up to a new broadband and TV deal. 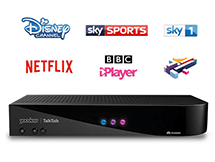 The leading broadband providers are in a constant battle for new subscribers, so switching providers often is the best way to cut the cost of your home entertainment package – and it’s simpler than ever before to switch. At Broadband Genie we make comparison easy. We put all the information you need at your fingertips – from contract length to price to available download limits, channels etc – as well as listing all the latest special offers and deals from the UK’s leading broadband and TV suppliers. You can then review the services via filters, narrowing your choices to meet your specific needs. And it’s super easy to buy the Sky Sports package you choose too. When you click through from here you’ll be taken directly to the purchase page of the provider of your choice on their official website. So you’ll be watching all the big matches at home in no time!